Recently, comedian John Oliver discussed the hidden lead paint poisoning crisis in the US, an issue which the American government repeatedly overlooks and puts in the ‘too hard’ basket. This issue was of course highlighted by the Flint lead crisis but as Oliver points out, the threat of lead poisoning is far more widespread that and it’s thought that some 2 million homes in the US contain both lead dust and a child under the age of six years old. Unfortunately, the US isn’t the only country currently faced with a mounting health threat due to the deterioration of lead paint and although the problem isn’t as widespread, it is here in Australia. 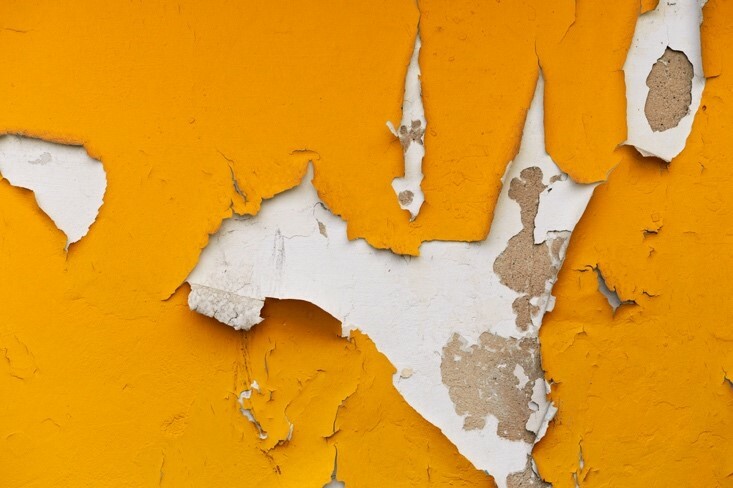 Although the level of lead in house paint is now negligible, there are still many properties around the country whose peeling or deteriorating lead paint poses a health risk. In this article, we run through four key things you need to understand abut lead paint. Prior to 1970, every tin of commercial house paint sold in Australia used high levels of lead carbonate or red lead as a pigment. It wasn’t until 1965 when the government stepped in and began to regulate the levels of lead used in paint, cutting the amount of lead from 50% to 1% in 1965, to 0.25% in 1992, and to 0.1% in 1997. The reason that lead paint exposure was a not a problem in previous generations is because the paint had not yet begun to deteriorate. Lead paint only becomes a problem when it chips or dusts so if it is well preserved and covered with modern paint or sealant it poses no health risk. Sadly, its children who are most vulnerable to the effects of lead poisoning as their bodies absorb more lead if nutrients like calcium are lacking in their diet. The effects of lead poisoning on children can be devastating and the WHO estimates that there are 600,000 new cases of childhood intellectual disability relating to lead exposure annually. Many homeowners are unaware of the presence of lead paint in their home and may unknowingly put themselves at risk when doing home renovations. Unfortunately, many DIY devotees put themselves and their families at risk by improperly handling lead paint and causing it to dust or chip during renovations. Once disturbed, lead dust can remain in the carpets, floors and gardens for many years. If you suspect the presence of lead paint in your home, its best to call the professionals. Alpha Environmental offer environmental consulting services for Melbourne homes and businesses which can cover lead paint assessment. To learn more about our services call 9415 8002.